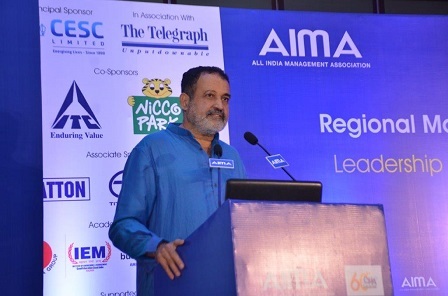 All India Management Association and Kerala Management Association are organizing the next edition of the Regional Management Conclave on 30th April 2019 at the Hotel Le Meridien, Kochi. The theme of the Conclave is Innovation in the Age of Disruption. The conclave will see participation from CEOs, management professionals and management students. 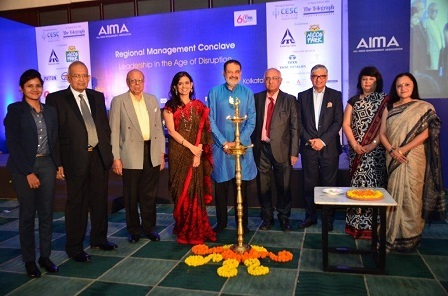 All India Management Association jointly with Calcutta Management Association, organized the 2nd Regional Management Conclave on 8th March 2018 at Calcutta. The theme of the conclave was 'Leadership in the Age of Disruption'. The Conclave was a key event on Leadership, which saw participation from CEOs, management professionals and management students, over 350 participants attended. 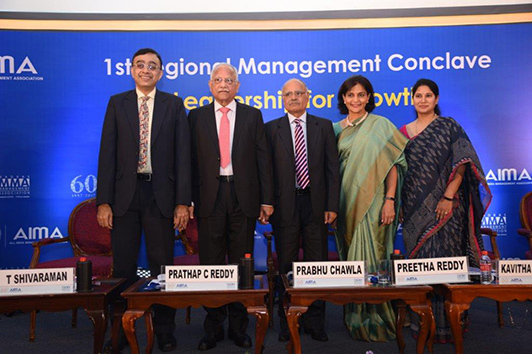 As part of it’s Diamond Jubilee celebrations, All India Management Association jointly with Madras Management Association, organised the 1st Regional Management Conclave on 3rd August 2017 at Chennai. The theme of the conclave was ‘Leadership For Growth’. 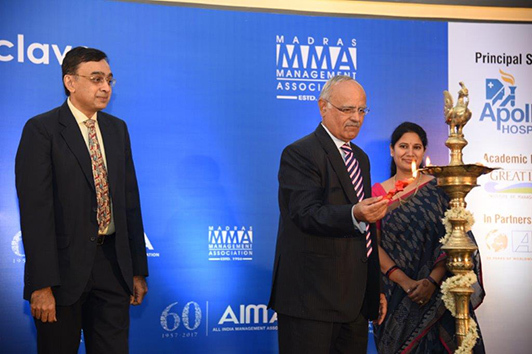 Ms Preetha Reddy, Executive Vice Chairperson, Apollo Hospitals Enterprise Limited & Past President AIMA, was the Conclave Chairperson. Some of the other eminent speakers included Dr Prathap C Reddy, Founder & Chairman, Apollo Hospitals Group; Ustad Amjad Ali Khan, Sarod Maestro; Mrs Subhalakshmi Khan, Bharatanatyam Exponent; Mr Amaan Ali Bangash & Mr Ayaan Ali Bangash, Sarod Masters & Composers; Mr Prabhu Chawla, Editorial Director, The New Indian Express Group; Mr D Shivakumar, Chairman & CEO, India Region, PepsiCo India Holdings Pvt Ltd and Past President, AlMA; Mr Santosh Desai, Managing Director & CEO, Future Brands Ltd; Mr SK Swamy, Chairman, RK Swamy Hansa Group & Past President, AlMA; Mr Richard Rekhy, Former Chief Executive Officer, KPMG in India; Dr Bala V Balachandran, JL Kellogg Distinguished Professor (Emeritus in service) of Accounting and Information Management, Northwestern University, Illinois, USA, Founder, Dean and Chairman, Great Lakes Institute of Management, India and Chancellor, Great Lakes International University; Dr Om Manchanda, Chief Executive Officer, Dr Lal PathLabs Ltd; Mr Arvind Sivaramakrishnan, CIO, Apollo Hospitals Enterprise Ltd and Dr Poorna Chandran, Deputy Medical Superintendent & Head Clinical Services, Billroth Hospitals. The Conclave was a key event on Leadership, which saw participation from CEOs, management professionals and management students, over 350 participants attended.